The decade ended with the release of that historic epic of the South during the Civil War, Gone With the Wind. 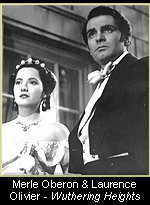 A personal triumph for independent producer David O. Selznick, the picture was based Margaret Mitchell's novel of the same name, a runaway best seller. 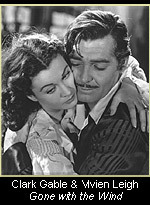 It generated more publicity than any other film had for its stars, Clark Gable and Vivian Leigh, Leslie Howard and Olivia de Haviland, its director Victor Fleming, production designer Cameron Menzies and art director Lyle Wheeler plus it won ten Academy Awards. 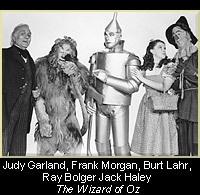 Other worthy films for the year were The Wizard of Oz, Stagecoach, Wuthering Heights, Young Mr Lincoln and at least at least a dozen more.. 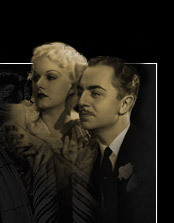 Many of the players omitted from the above material include Jean Harlow, Alice Faye, Don Ameche, Kay Francis, Ruth Chatterton, Robert Taylor, Barbara Stanwyk, Johnny Weissmuller, Warner Baxter, Paul Muni, Bing Crosby, Hedy Lamarr, the Bennett sisters, Sylvia Sidney, Helen Hayes, Virginia Bruce, Dorothy Lamour, Miriam Hopkins, Zazu Pitts, Lew Ayres, Delores Del Rio, Charles Boyer, Ronald Coleman, Robert Montgomery, Brian Ahearn. all stars.and so many others, but they are for another time.